The lettuce we eat is a close relative to the lettuce we weed out of our gardens. Last week we discussed the potential that wild relatives may have for improving cultivated lettuce. But if wild lettuce can be crossed with cultivated lettuce to create new cultivars, can cultivated lettuce cross with wild lettuce to make it more weedy? Because so many of our crops are closely related to some of the weeds found along with them or the plants growing in nearby natural areas, the creation of crop-wild hybrids has long been a concern. This concern is heightened in the age of transgenic crops (also known as GMOs), for fear that hybrids between weeds and such crops could create super weeds – fast spreading or highly adapted weeds resistant to traditional control methods such as certain herbicides. To reduce this risk, extensive research is necessary before such crops are released for commercial use. There are no commercially available, genetically modified varieties of cultivated lettuce, so this is not a concern when it comes to crop-wild hybrids; however, due to how prevalent weedy species like prickly lettuce (Lactuca serriola) are, hybridization with cultivated lettuce is still a concern. So, it is important to understand what the consequences might be when hybridization occurs. In a paper published in Journal of Applied Ecology in 2005, Hooftman et al. 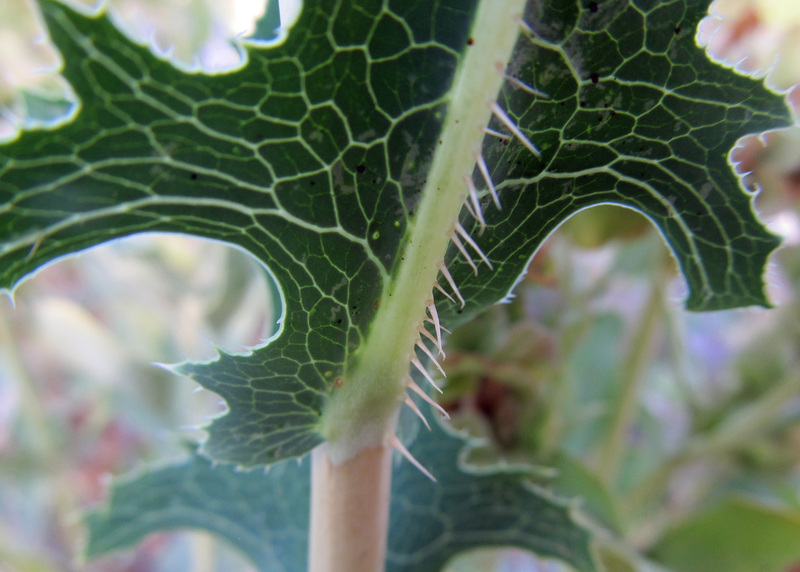 examined a group of second-generation hybrids (L. sativa x L. serriola), and found that the hybrids behaved and appeared very similarly to non-hybrid prickly lettuce. They also found that the seeds produced by the hybrids had a significantly higher germination rate than non-hybrid plants. This is an example of hybrid vigor. Thus, “if hybridization does occur, this could lead to better performing and thus potentially more invasive (hybrid) genotypes.” However, the authors cautioned that “better performing genotypes do not automatically result in higher invasiveness,” and that much depends on the conditions they are found in, the level of human disturbance, etc. Another thing to consider is that hybrids are not stable. In an article published in Nature Reviews Genetics in 2003, Stewart et al. 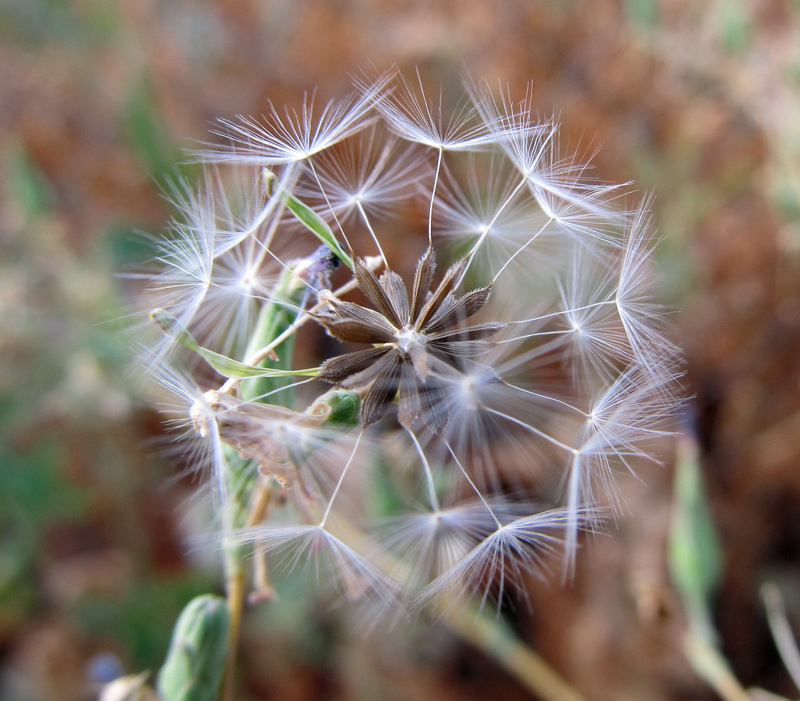 adress the “misunderstanding that can arise through the confusion of hybridization and … introgression.” It is wrong to assume that hybrids between crops and wild relatives will automatically lead to super weeds. For this to occur, repeated crosses with parental lines (also known as backcrossing) must occur, and “backcross generations to the wild relative must progress to the point at which the transgene [or other gene(s) in question] is incorporated into the genome of the wild relative.” That is what is meant by “introgression.” This may happen quickly or over many generations or it may never happen at all. Each case is different. In a paper published in Journal of Applied Ecology in 2007, Hooftman et al. observe the breakdown of crop-wild lettuce hybrids. They note that “fitness surplus through [hybrid vigor] will often be reduced over few generations,” which is what was seen in the hybrids they observed. One possible reason why this occurs is that lettuce is predominantly a self-crossing species; outcrossing is rare, occurring 1 – 5% of the time thanks to pollinating insects. But that doesn’t mean that a stable, aggressive genotype could never develop. Again, much depends on environmental conditions, as well as rates of outcrossing and other factors relating to population dynamics. 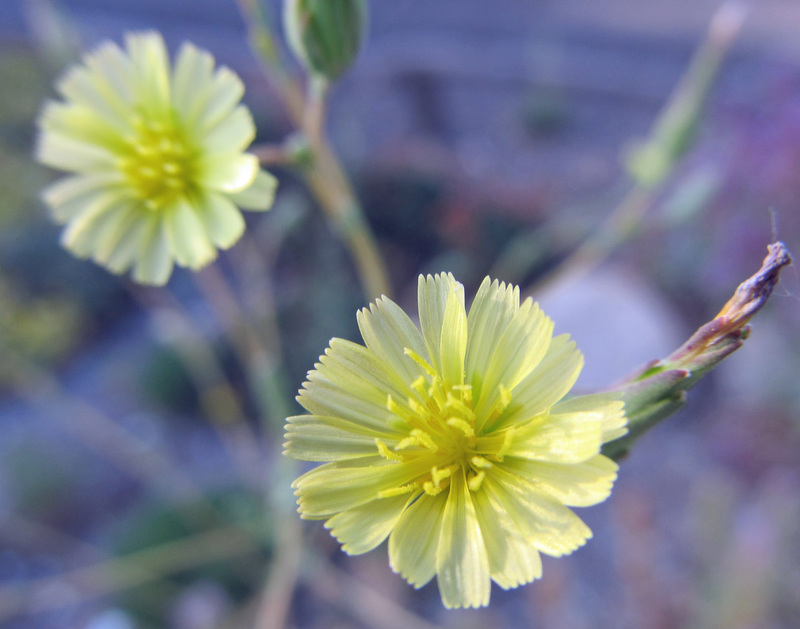 A significant expansion of prickly lettuce across parts of Europe led some to hypothesize that crop-wild hybrids were partly to blame. In a paper published in Molecular Ecology in 2012 Uwimana et al. ran population genetic analyses on extensive data sets to determine the role that hybridization had in the expansion. They concluded that, at a level of only 7% in wild habitats, crop-wild hybrids were not having a significant impact. They observed greater fitness in the hybrids, as has been observed in other studies (including the one above), but they acknowledged the instability of hybrids, especially in self-pollinating annuals like lettuce. This is a guest post. Words and photos by Jeremiah Sandler. I collect cacti and succulents. The more I collect plants, the more and more I become interested in taxonomic and phylogenetic relationships between them. Not just my own plants – all of them. Most recently, the genus Euphorbia has been on my mind. My favorite species are E. meloformis var. valida and E. horrida. I’m mostly familiar with the succulent and cacti-looking euphorbia (they are not true cacti) and a few ornamental annuals. Sometimes I would come across a species that I could determine was a euphorbia; but in trying to identify exactly which species, I found countless possibilities within the genus. It seemed odd to me that a single genus could contain so many different forms. 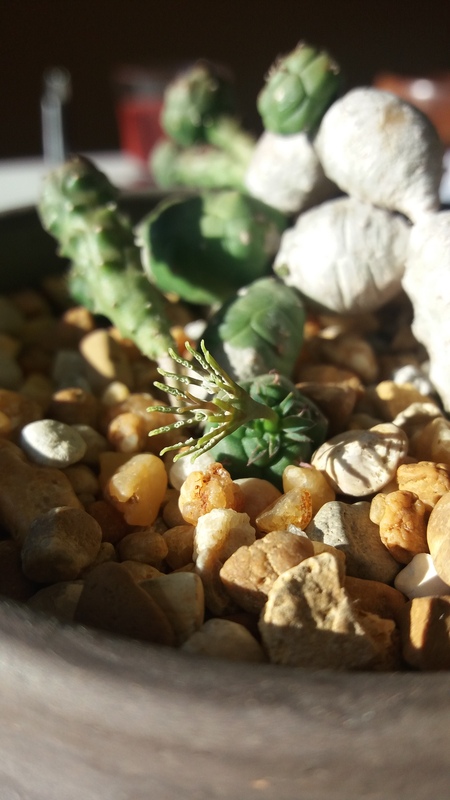 Turns out, Euphorbia consists of over 1800 separate species. What?! That is an insanely high number! Only about 20 genera of plants contain over 1000 separate species. Euphorbia is the fourth most populated genus among all genera of plants. That staggering number got me thinking: how can a single genus have so many different species? How has the classification worked that out? Has the genus been phylogenetically examined? There’s no way a genus can be so huge. You know what breeders and collectors can do with that much genetic material in a single genus? The man-made hybrids seem endless. In older taxonomic practices, morphological similarities were the primary method of grouping individuals together. While that is still a common practice today, phylogenetic testing is now an accessible tool for organizing species into related groups. Organizations such as the Angiosperm Phylogeny Group (APG) have been doing this advanced scientific research – analyzing DNA, doing detailed dissection, etc. Ultimately, they organize plant taxonomy and systematics with greater detail, and examine plant relationships genetically – phylogenetics. Analyzing genomes is much more expensive and time consuming than observing morphologies. Now, a mix of methods is used, but DNA sequencing has definitely changed the systematics game in a big way. As a result of the APG’s incorporation of widespread phylogenetic DNA analyses, their taxonomical classifications are quickly becoming the generally accepted classifications among plant taxonomists. Since the inclusion of genetic testing, many plant orders, families, and genera have been reorganized, renamed, expanded, or shrunk. One of the identifying features of euphorbias are their very unique flowers. All species in the genus have a cyathium, an inflorescence exclusively produced by euphorbias. Lacking in true petals, sepals, or nectaries, monoecious euphorbia flowers possess only the most essential parts of reproduction. 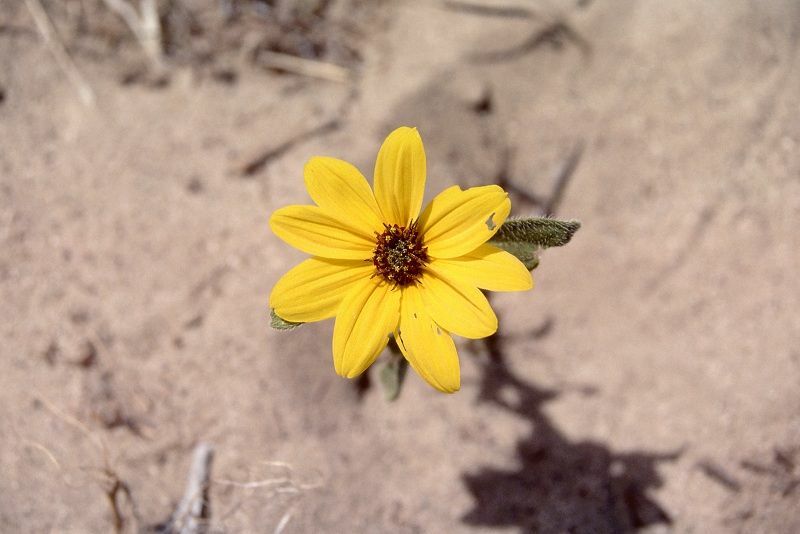 However, bracts, extra-floral nectaries, and other structures surrounding the reproductive parts of the flowers make them appear superficially different. It would be very time consuming to sequence the DNA of every member of this genus to see where they all fit. Approximately 10% of the euphorbias have been phylogenetically examined, and they confirm the traditional morphological placement. How about that? Interestingly, of the species genetically analyzed, some were subsequently placed into the genus Euphorbia after historically being considered members of other genera. Species within the same genus when crossed can (but not always) produce viable offspring. Sometimes they don’t because of differences in pollinators, flowering times, or geographic location, which prevents hybridization. Clades within plant genera also can affect intra-genus reproduction. For example, hard maples won’t naturally hybridize with soft maples, despite both being in the genus Acer. Perhaps the case is similar between the groups within Euphorbia. 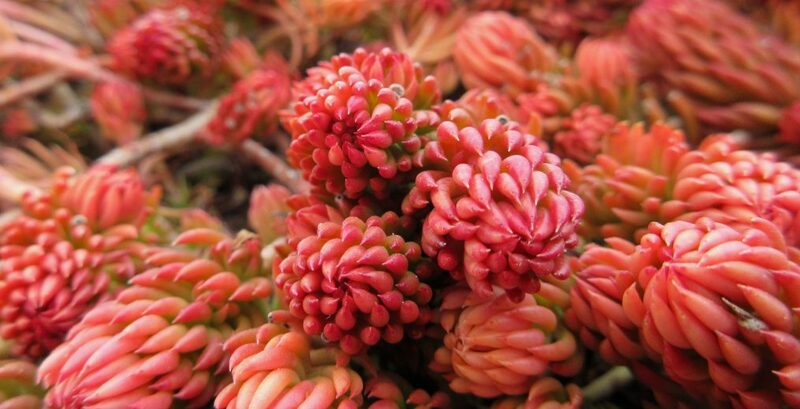 As a plant collector and cacti and succulent enthusiast, imagining the endless amounts of hybrids within a massive genus is a fancy idea to me. The APG’s confirming of the initial classifications of Euphorbia into a massive genus makes the idea of endless hybrids all the more real. This is the thirteenth in a series of posts reviewing the 17 articles found in the October 2014 Special Issue of American Journal of Botany, Speaking of Food: Connecting Basic and Applied Science. The nature of domestication involves the narrowing of genetic diversity through a series of crosses and selections that results in organisms well suited for particular environments and/or purposes. In the short term, this arrangement seems to suit our needs, that is until the climate shifts, novel pests and diseases invade, agricultural soils become degraded, or some other calamity ensues. Then we must select a new form to take the place of the old one that is no longer suitable. Additionally, the varieties currently in use may be doing well within their current parameters, but their performance may be found lacking if placed in different environments or grown in alternate systems, such as one that relies on fewer petrochemical inputs. The wild relatives of crop plants have a long history of being used in breeding programs to provide specific traits for improving domesticated varieties. Interest in this has increased thanks to technological advancements (such as marker-assisted selection and genomic selection) and the greater availability of germplasm. Introgression (the transfer of genes from one species to another through hybridization and repeated backcrossing) using crop wild relatives has mainly been aimed at introducing traits like resistance to specific pests and diseases, tolerance of certain abiotic stresses, and greater yields. In other words, crop wild relatives are typically screened for a few main traits that might be useful in breeding programs, neglecting the possibility that the introgression of a larger suite of traits may be beneficial long-term. Poor Agronomic Performance – “Crop wild relatives often lack important domestication traits.” They may have shattering pods, irregular germination timing, or phenologies that inhibit their use in certain regions. Unpredictability of Phenotypes – “Phenotypes of wild individuals are often assessed in agricultural settings, a largely uninformative practice when the overall wild phenotype is specifically adapted for fitness in the wild but not cultivated settings.” This makes for an inaccurate comparison with domesticated varieties, so when “crop-wild hybrids” are formed, phenotypes are hard to predict. Backcrossing is necessary in order to recover the “essential crop phenotype” while capturing the desired traits of the wild relative. The authors also highlight the need for conservation of crop wild relatives, as “these species are nearly universally threatened.” The catalog of threats to their survival is similar to so many other threatened species: the loss, fragmentation, and degradation of habitats, climate change, invasive species, and over-harvesting (“in the case of medicinally and pharmaceutically useful species”). One threat, perhaps ironically, is agricultural crops crossing with nearby wild relatives, especially where transgenic genes in crops are being transferred to wild populations. 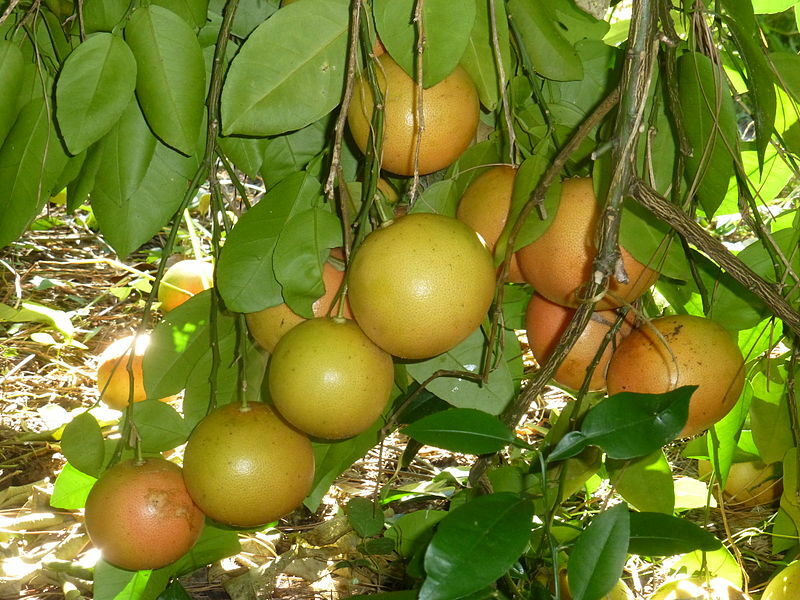 In order to better realize the potential that crop wild relatives have in improving domesticated varieties, they must first be protected in their natural habitats. The authors propose a 5 step plan for systematic utilization of crop wild relatives in agricultural breeding programs. The steps include building a comprehensive collection of crop wild relatives, sequencing their genomes, creating purpose-driven hybrid populations between wild relatives and crop plants, developing a predictive network of genotype-phenotype associations, and deploying identified phenotypes into crop breeding efforts. This article is one of the open access articles in this issue. If you are interested in this topic, including this 5 step plan, I encourage you to read the article to learn more.